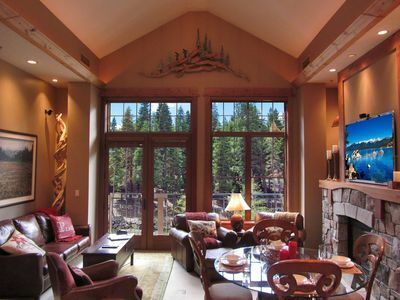 Base yourself right in the heart of Truckee and experience a marvelous adventure in the Lake Tahoe area. 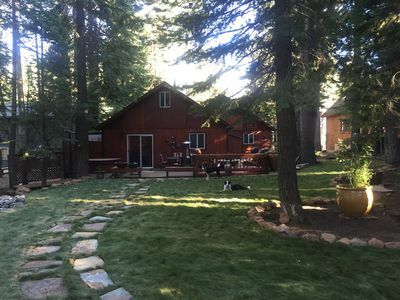 This prime vacation rental home for 6 guests sits within a quarter mile of a walk downtown, offering ideal proximity to all your daily activities, while also boasting a secluded backyard for privacy while you relax! 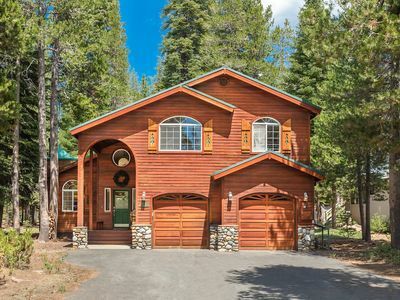 After hitting the slopes or lounging lakeside, return to this 3-bed, 1.5-bath abode and unwind in the hot tub as the outdoor fireplace crackles, or recharge in the sauna. 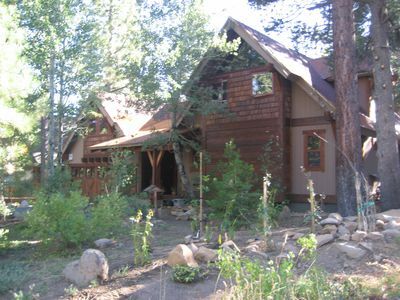 This charming house is the perfect place to restore your energy after exciting outdoor adventures. 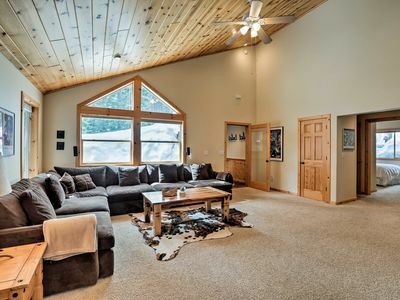 Between the peaceful back patio complete with a hot tub and fireplace, the built-in sauna, and the downstairs entertainment room, you and your group will find plenty of ways to spend downtime. 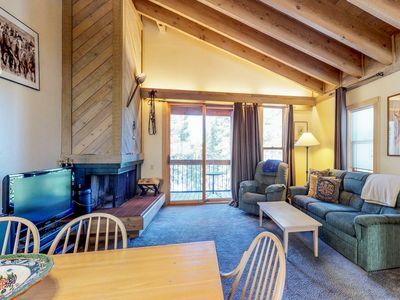 Kick off your ski boots or hiking shoes and make your way to the fully equipped kitchen to whip up a snack! The space features unique wood furnishings and stainless steel appliances and is stocked with all the dishware, cookware, and utensils necessary for a culinary masterpiece! 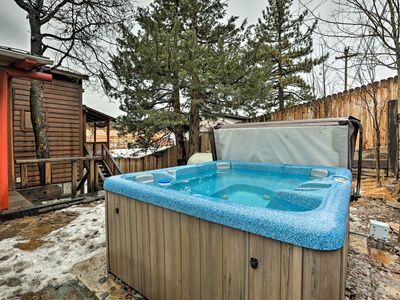 Crack open a cold one and enjoy a little après ski or happy hour while soaking in the hot tub. The fenced patio ensures peace and quiet, while the outdoor fireplace makes the space warm and cozy! On warm nights, feel free to fire up the grill and host a BBQ dinner. 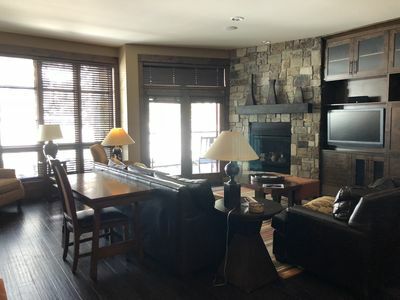 Wind down the evening with a family movie night in the lower-level living area, equipped with a flat-screen Apple TV. 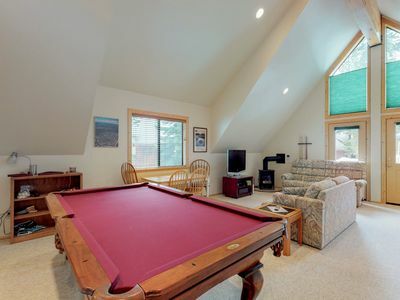 A ping pong table and dartboard are also available if you're down to get a little competitive! 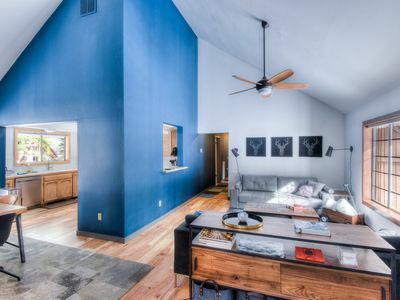 Four guests can rest their heads in the comfy queen beds, while a full bed and additional pullout couch in the living room offer more accommodations and privacy. 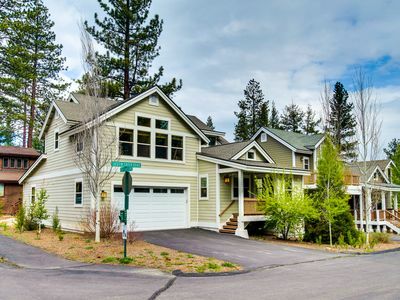 While situated less than a quarter mile from the heart of Truckee, enjoy artisan shops, restaurants, pubs, and more - all located just a short walk away! Treat yourself to a nice dinner out at Truckee Tavern & Grill, followed by drinks and live music at Bar of America or Moody's Bistro Bar & Beats. 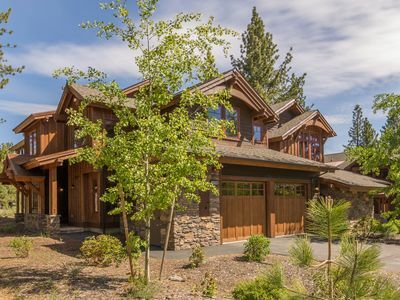 Approximately a 20-minute drive is all it takes to reach top-notch area destinations like Squaw Valley Resort, Tahoe City, and Lake Tahoe. 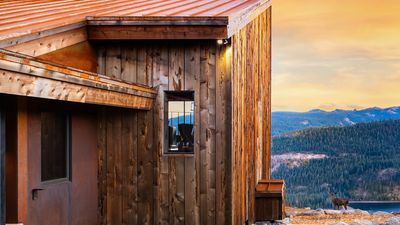 Known as 'America's All Year Playground,' Lake Tahoe is a wonderland for hiking, skiing, boating, or simply relaxing by the lake and savoring a peaceful afternoon with your travel companions. 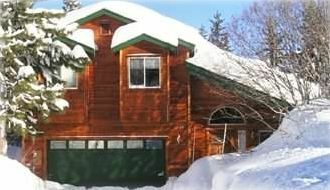 Winter travelers - skiing opportunities abound in this beautiful area. 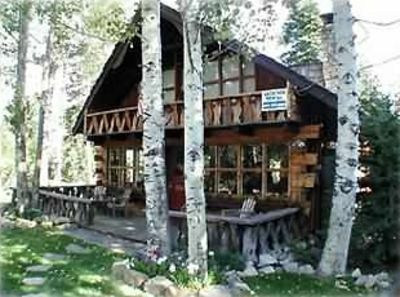 Tahoe Donner Downhill Ski Resort and Cross Country Ski Center, Northstar California Resort, Sugar Bowl Resort, Squaw Valley, Alpine Meadows, and Boreal Mountain California are all within 15-20 minutes from the house! 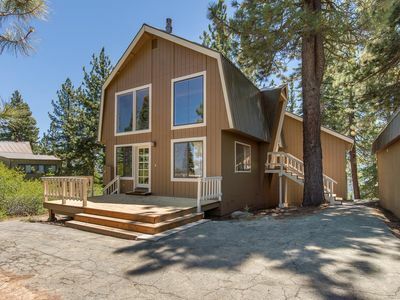 Summertime visitors will have just as many outdoor activities at their fingertips, with ample hiking, mountain biking, and ATV trails, not to mention the water sport possibilities on nearby Donner Lake or the spectacular Lake Tahoe, which is about a 25-minute drive away. 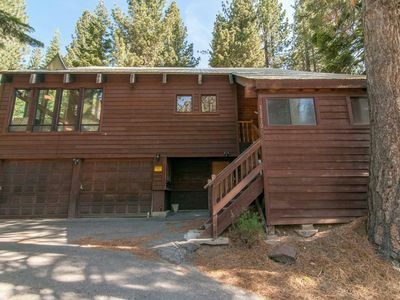 - Excellent Truckee location situated less than a quarter mile from downtown, within 20 minutes of more than 5 ski resorts, 25 minutes to Lake Tahoe, & simply surrounded by outdoor recreation options! 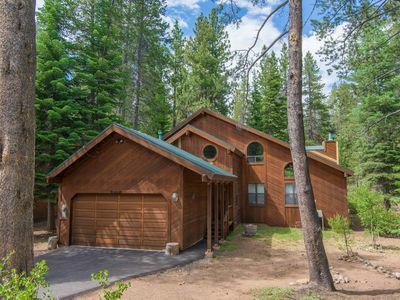 Room for the whole family, jetted tub, stone fireplace! 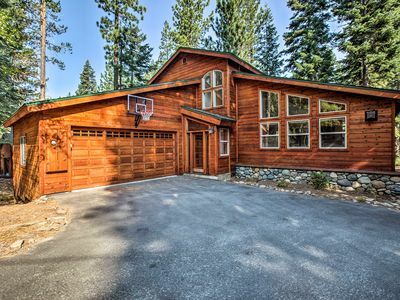 Stunning home with private hot tub on the back deck. NEW! 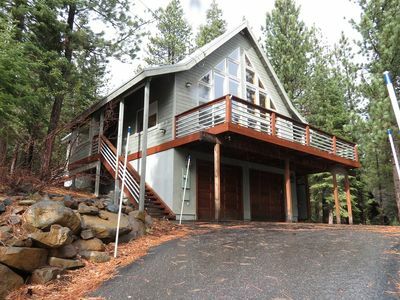 Tahoe Donner Home w/ Hot Tub - 7 Mi to Lake!